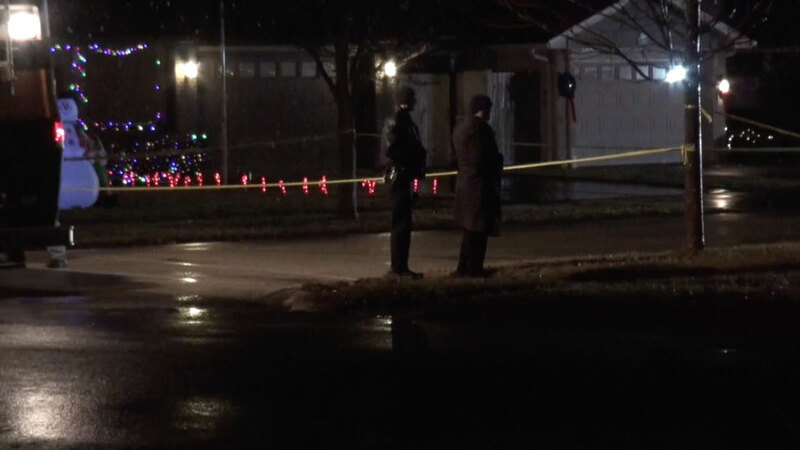 Elk Grove Village police and firefighter/paramedics responded about 6:00 p.m. Monday December 31, 2018 to a report of a mailman shot in the street in the 0-99 block of Brantwood Avenue. A neighbor heard a shot or shots fired and then saw a mailman down on the ground bleeding. Police and firefighter/paramedics responded within a couple of minutes, and police declared the scene secured almost immediately. A second ambulance was also dispatched to the scene, and a witness reported a second person may have also been shot. However, a prompt official police release reported that only one person was shot. Police initially identified the victim as a male US Postal Service worker of unknown age. Witness reported to investigators that they saw a dark SUV fleeing the area immediately after shots were fired. Detectives are processing the scene for physical evidence and canvassing the area in search of potential witnesses. Detectives are asking residents in the area who have video cameras or video doorbells posted at their homes to provide investigators video that could provide information relevant to the investigation. Detectives have briefed US Postal Service Inspectors, who are assisting with the investigation. Elk Grove Village Police Department is advising residents that they should expect a heightened police presence throughout the evening and in the coming days. Elk Grove Village Police Department advised they will keep residents informed of developments as the investigation continues. Investigators ask that anyone who may have seen or heard anything unusual, or has any information about this incident to contact Elk Grove Village Police Investigator McIntyre at 847-357-4100. Elk Grove Village firefighter/paramedics transported a male victim with Advanced Life Support to Level I Trauma Center Advocate Lutheran General Hospital in Park Ridge with extra paramedics on board the ambulance. Information about a second gunshot victim was not initially known. Police secured a large crime scene the length of Brentwood Avenue from Arlington Heights Road to Chelmsford Lane. The shooting may have occurred on Brantwood Avenue closer to Chelmsford Lane as neighbors said most of the searching on the ground with flashlights occurred on Brantswood Avenue near Chelmsford Lane. A van, clarified by Elk Grove Village police as an unmarked US Postal vehicle, was stopped facing eastbound in the middle of Brentwood Avenue just west of Smethwick Lane. The driver’s door was open and the engine was still running. 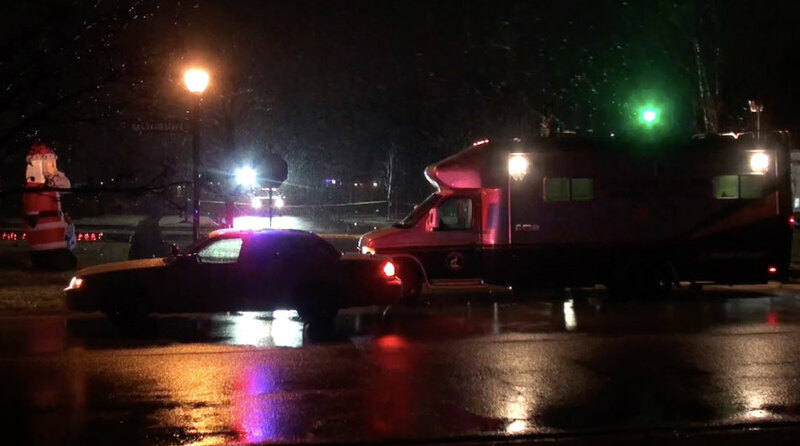 The van appeared to be a personal vehicle and not a postal vehicle. 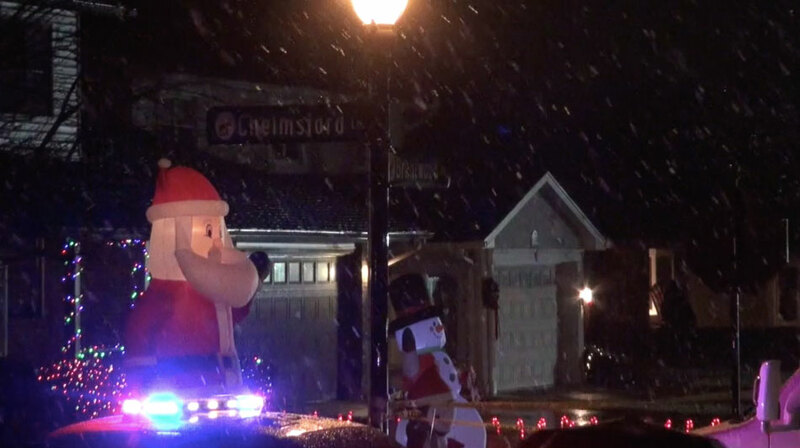 The Elk Grove Village Fire Department Communications van remained on the scene and another vehicle — possibly a fire department rescue squad — also remained on the scene for lighting. 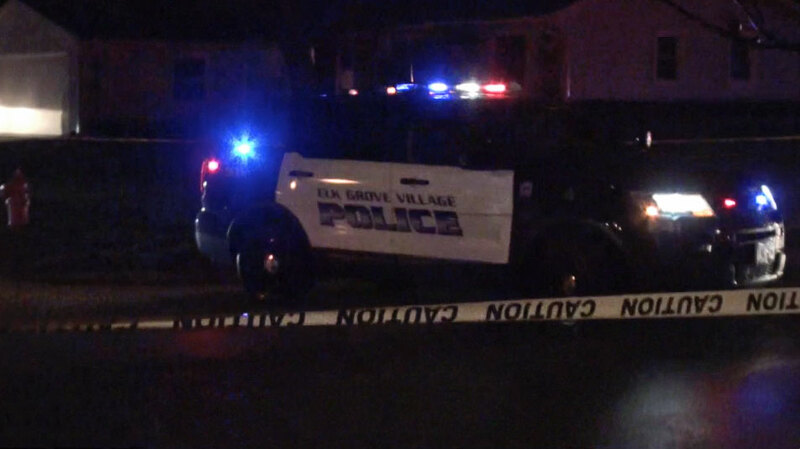 The crime scene is under investigation, and Brantwood Avenue will be blocked much of the night. Neighbors arriving home were guided by police officers to their homes while avoiding the crime scene. Several neighbors reported hearing the shot or shots fired. One man on the west end of Brantwood Avenue said he heard the shots at 5:58 p.m. — saying he looked at his clock an noted the time. He said initially he wasn’t sure they were shots. One neighbor said that the mailman that was shot was not the regular neighborhood mailman. Police did not initially release any information at the scene. A male, who appeared to be connected to someone involved in the shooting incident, arrived on the scene on the east end of Brantwood Avenue about 7:00 p.m. and was asking police what happened. 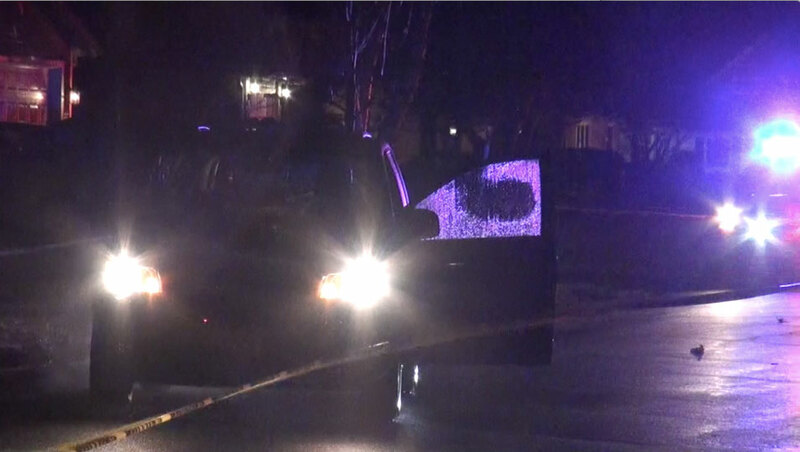 Elk Grove Village police SUV at east end of Brantwood Avenue. Police guarding scene at west end of Brantwood Avenue. West end of crime scene near Brantwood Avenue and Chelmsford Lane. Elk Grove Village Fire Department Communications/Command van at west end of Brantwood Avenue. Van left running in the street on the east end of Brantwood Avenue just west of Arlington Heights Road.